Dust accumulates in all corners of our house and things can really go out of control sometimes. Some of you may suffer from asthma or be allergic to dust. In these cases, getting rid of dust and making sure it doesn’t accumulate is essential. Don’t get me wrong, most of the times getting rid of dust isn’t that hard. However, some of the items at home are harder to clean than the others. 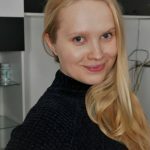 So, I thought I’d share some dusting tips that might be useful! Exhaust fans can get dusty. Real dusty! And you cannot exactly just vacuum them since they’re so high up. 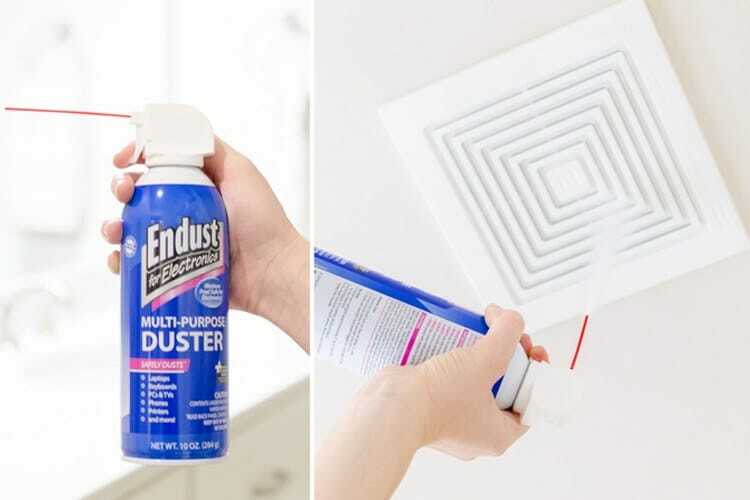 The best way to get that dust out of the way is to use canned air. Make sure you’re wearing glasses in case all that dust goes down straight into your face. Probably wearing a hat is a good idea too. I know some people don’t mind dusting baseboards with their hands. I mean sure you can just take a microfiber cloth and start crawling around. However, it takes ages and it’s not necessarily the most comfortable position to clean in. If you suffer from back pain, doing that isn’t an option at all. So, instead use a dry spin mop. Make sure it’s dry, otherwise it won’t work. You won’t need to constantly bend, and the baseboards will get dusted! Whoever invented the sticky roller is an absolute genius. 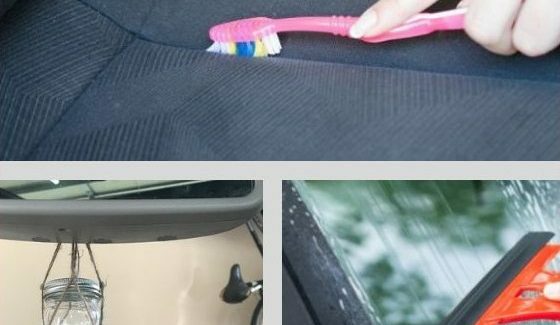 If you thought that sticky roller can be used on clothes only, you’re wrong! 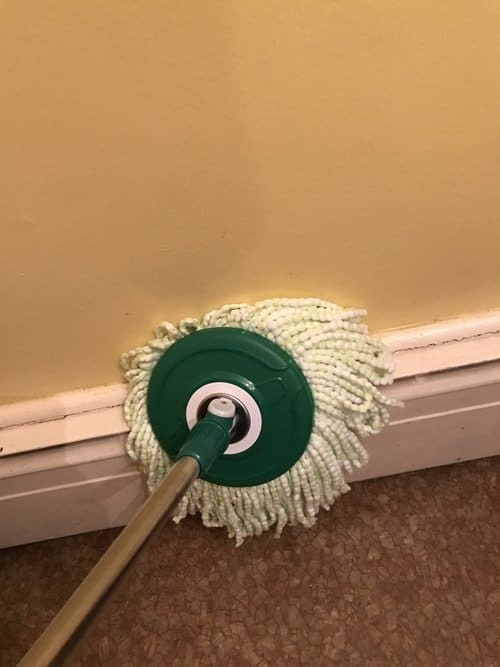 It’s one of those things that you can use to clean carpets, clean your car and clean everything else that collects hairs and dust. 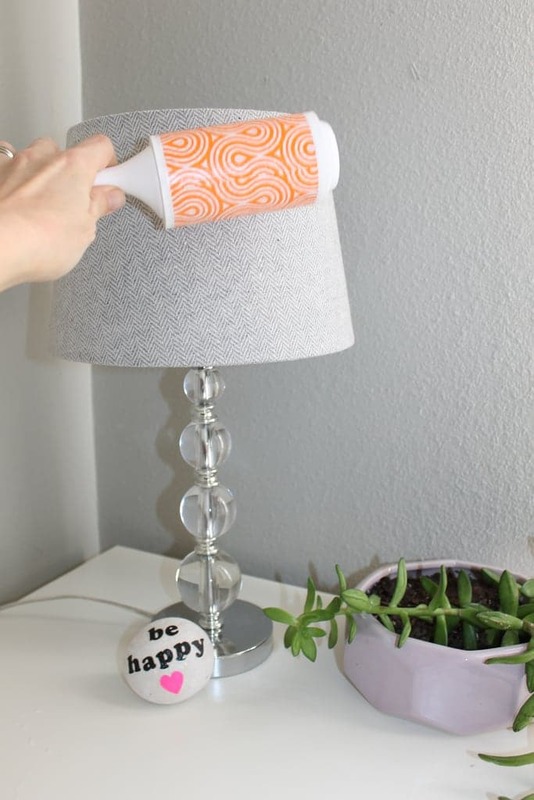 A sticky roller is also great for dusting lamp shades. Since they’re mostly made out of some sort of fabric, they readily collect dust and hair. So, using a sticky roller will save you a lot of time that you’d otherwise spend trying to figure how to get rid of the dust on your lamps. If you have blinds at home, they’re life-saving when it comes to blocking the sun and keeping your home nice and cool. However, when it comes to cleaning them, it’s a different story. It’s probably one of the hardest to clean items at home that readily collects dust. And it’s not like you can just vacuum them! 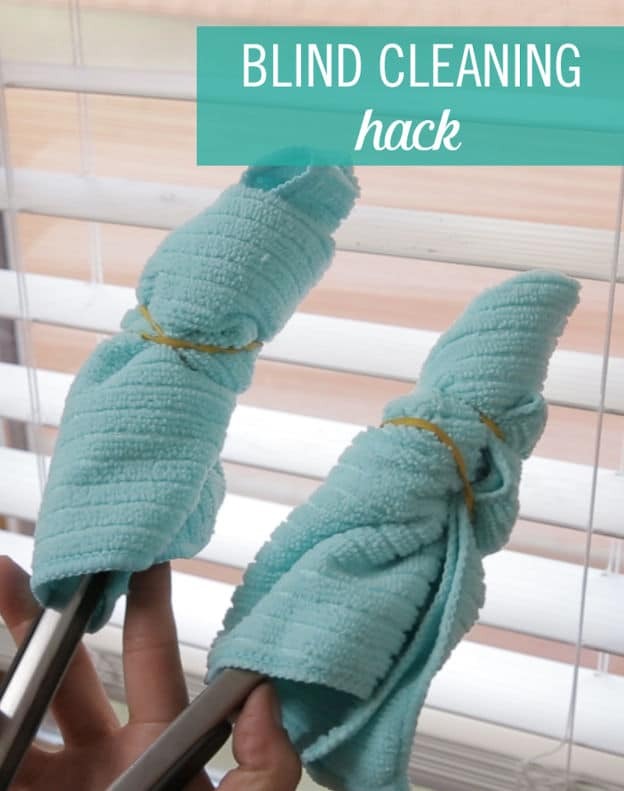 So, get tongs from the kitchen, wrap them in microfiber cloth, use elastic bands to secure them and start dusting. It’s super easy and very effective! This one is nothing new but everyone needs to have a hand duster. In fact, if you need one, this one is pretty good. 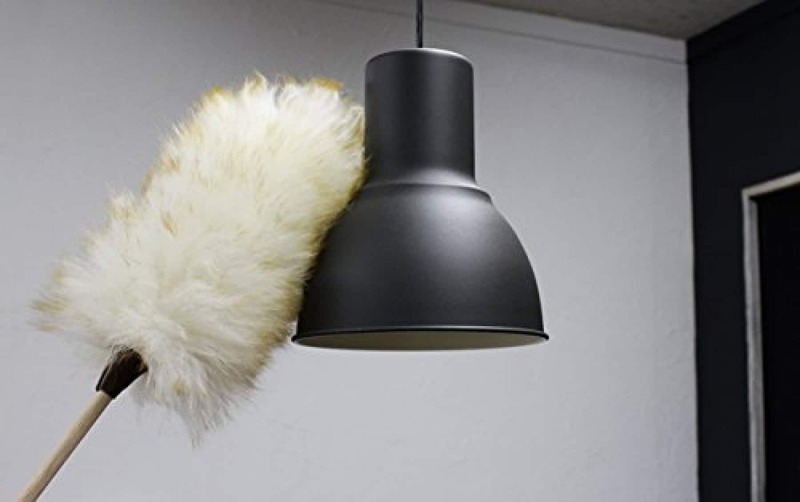 Let’s be honest, it can be very difficult to dust your lamps and reaching them is sometimes impossible. However, a hand duster with an extendable handle can help. Whenever you’re dusting anything above your head, make sure to wear glasses and a hat! 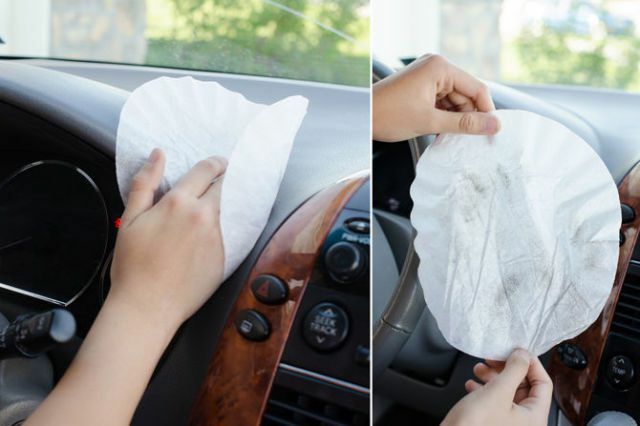 Your car dashboard probably gets dusty all the time. And the best way to deal with is to use coffee filters. Yes, you’ve read it right. 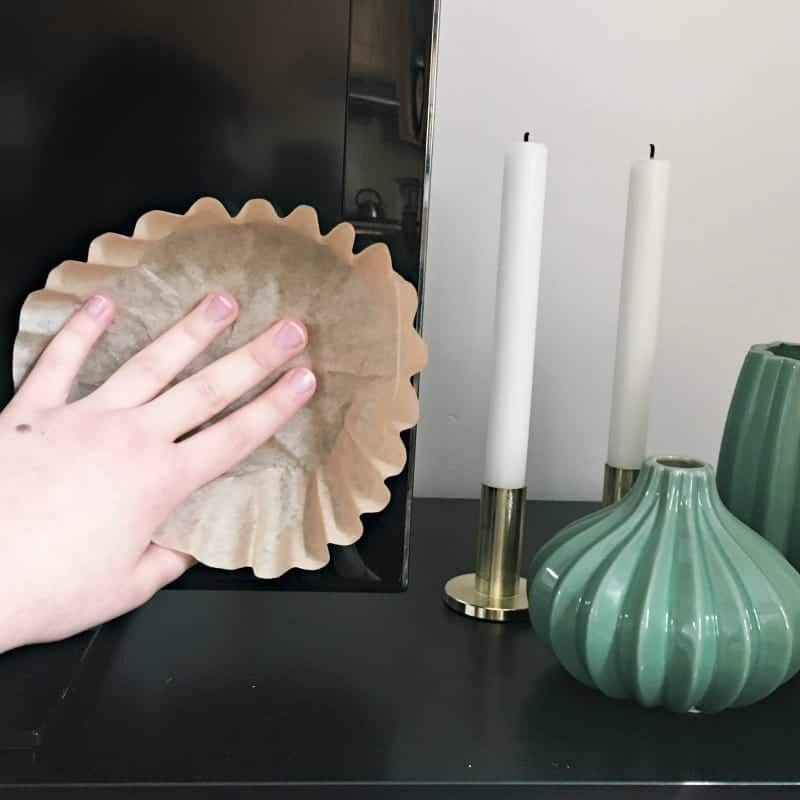 Coffee filters are great at collecting dust, especially when it comes to flat surfaces. If you’re a coffee lover who has a ton of these at home, it can be super handy just to take one and quickly dust your car. If you want a clean car, the key to keeping it that way is maintaining the cleanliness. Thus, having a coffee filter somewhere close can encourage you to dust the car dashboard more often. Are you one of those people who constantly lose one sock and has no ideas what to do with another one? Don’t we all have the same problem? Here is a good, practical solution. Instead of throwing away leftover socks, use them to dust your home. 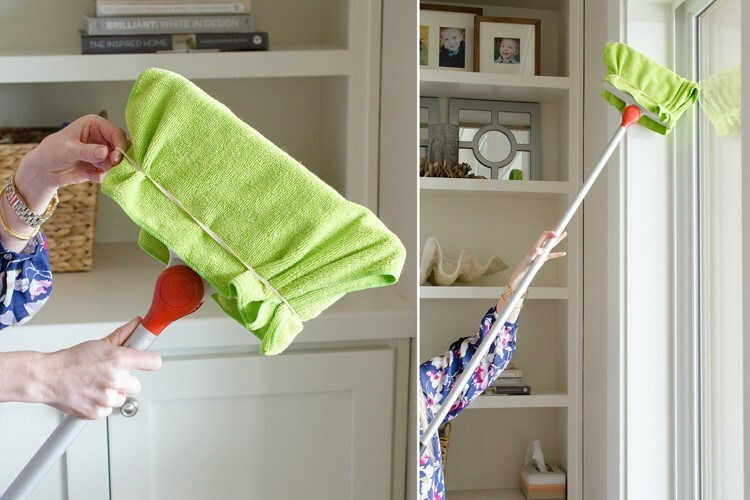 Use the sock on a swifter sweeper and dust your floors, corners and anything else that requires dusting. You could also just use it to deep clean your house. TV screen gathers a lot of dust. Mostly because of the electric charge all the dust gets attracted to it. So, it’s no surprise TV’s get dusty all the time. If anything, if it’s the epicenter of all the dust at home. While washing your tv screen with all types of liquids can be damaging, it’s better to just dust it with a coffee filter. Coffee filters are great at collecting all the dust. When you’re cleaning the screen, be gentle to make sure you don’t damage it. These dusting slippers can do for a fun gift that your friends won’t expect at all. They do look fun but also have a practical side to them. 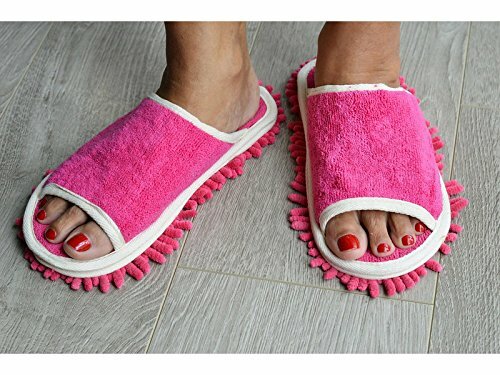 These slippers have microfiber fingers that catch all the dust and hair from the floor. So, you can just walk around and clean the house without even realizing it. Keyboards get dusty, even when you’re using them. That’s a fact and you cannot change it! While wiping it isn’t a bad idea, the dust tends to accumulate very fast even after that. Thus, the best way to really get rid of it is to use a paint brush. 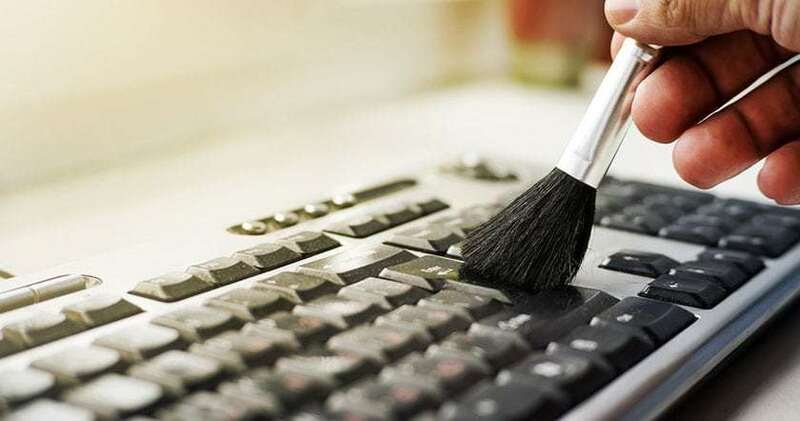 Brush the dust off whenever you start working on your computer and you won’t have to worry about dust anymore. 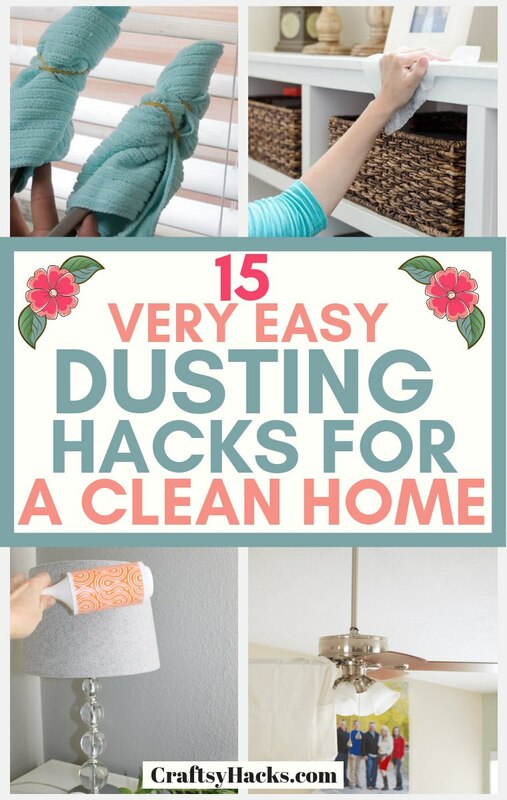 Dust accumulates in corners, window sills and all the other places at home. You wouldn’t usually even notice these. So, whenever you feel inspired to dust the places of your home that you usually don’t even pay attention, this is the trick you’ll need. Get a broom, a large microfiber cloth and wrap it around the broom. Use elastic bands to secure and get working! Honestly, this one will save you a lot of time and back pain! 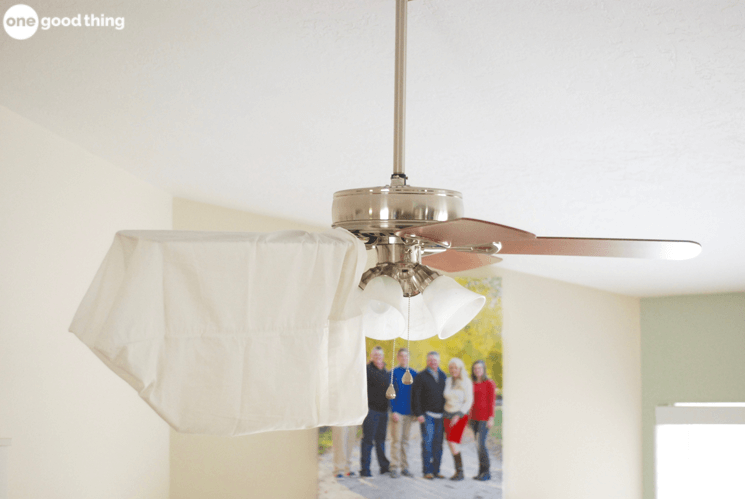 Ceiling fans get dusty all the time. In fact, they can get so dusty, it’ll stick to the fan and won’t go away unless you wash it. You definitely want to avoid that though. Once in a while, take a pillowcase and slowly brush off the dust. Instead of it all going down on your carpets, it will beautifully collect in the pillowcase. Thus, you won’t mess the whole room by cleaning one thing! Plants need water. That’s a fact. Here’s another fact: plants tend to collect dust very quickly! The best way to get rid of the dust is to use a spray. Just spray the leaves with water and all the dust will go down to the soil. 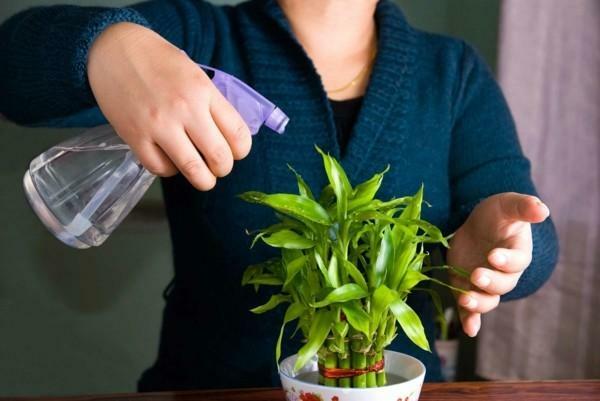 In this way, you’ll water your plant and clean it at the same time. The good thing is that the leaves will be a little bit shinier! 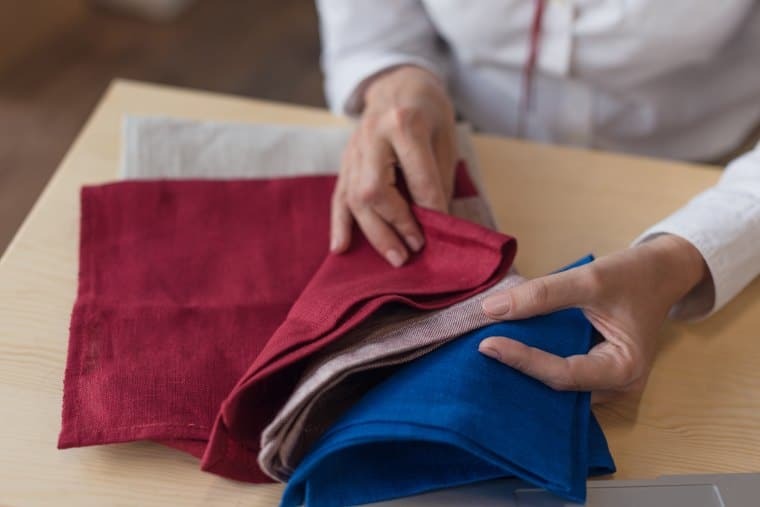 Your carpet isn’t the only piece of fabric in your home that collects enormous amounts of dust. All the blankets and even clothes do that too. Your best choice, especially if it’s winter time, to go outside and dust your fabrics. Obviously, you could also just drop them into the washing machine and let it do the job. However, if you do suffer from asthma and have an allergy to dust, do it regularly. I’m all about reusing whatever I have at home. And I’m sure many of you can relate to that! So, feel free to reuse your dryer sheets to clean the shelves and tables. They are great at gathering all the dust and you can easily just throw them away after that. It’s a pretty simple idea but a quite useful one! 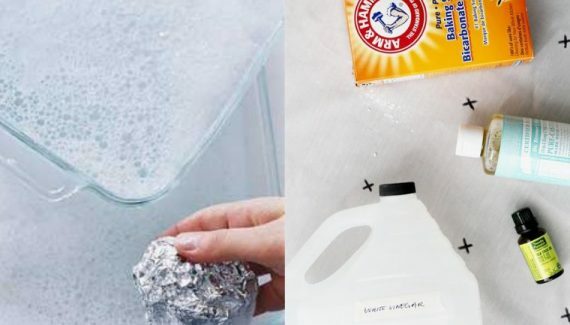 I hope you’ve enjoyed some of these dusting hacks! Let me know if you have any tricks of your own or whether you’re going to try any of these! Share your experiences in the comment section below!